Dzongkhag Agriculture Officers of Paro, Wangdue, Dagana, Gasa, Trongsa, Punakha, Lhuntse, Pemagastshel and Tsirang. With weather conditions becoming more favourable for the armyworm outbreaks (prolonged dry periods followed by heavy rainfall),it is very important to carry out regular monitoring of the armyworm particularly in maize fields and paddy nurseries to assist farmers to implement control measures on time. 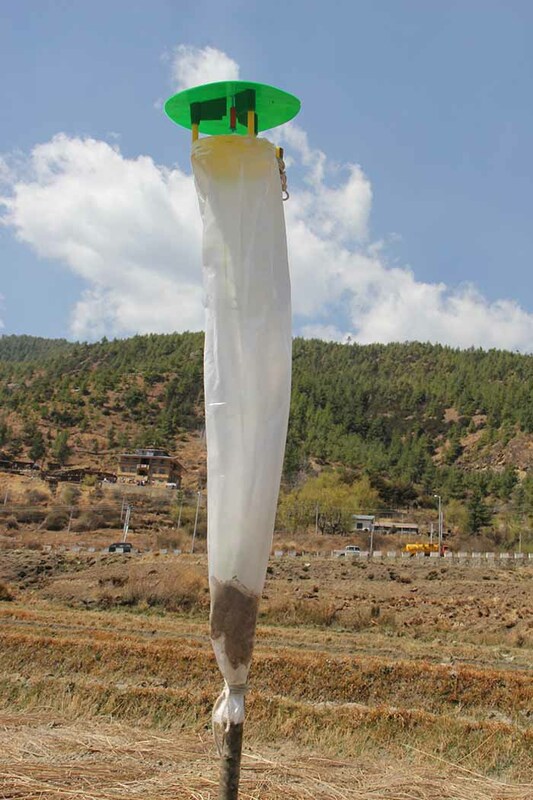 In this regard, you are requested to send one person from your Dzongkhag to collect the pheromone traps from the National Plant Protection Centre, Semtokha and instruct Extension Agents to carry out regular monitoring of armyworm by using the pheromone traps.